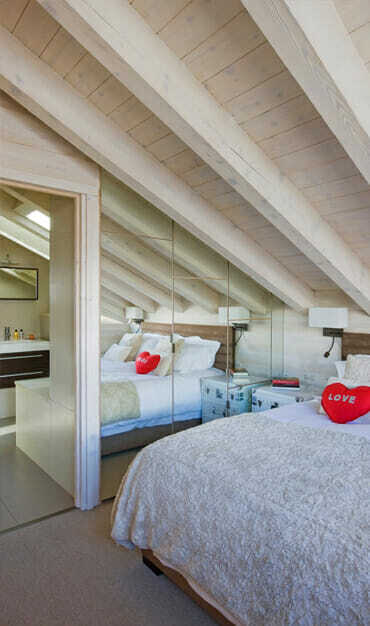 The penthouse apartment can be booked as part of the main chalet – or alternatively available to rent independently on a self-catered basis to smaller groups of up to four guests. 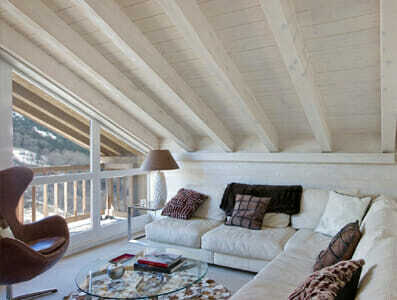 The penthouse has its own private entrance but is also accessible via the internal staircase when rented with the main chalet. 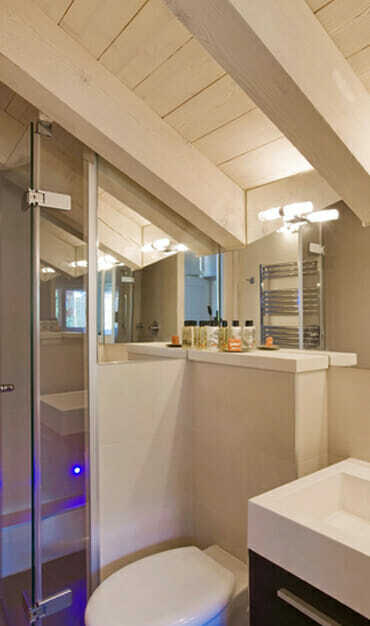 The apartment has two bedrooms: one with a king-sized bed and its own en-suite bathroom, the other with a queen-sized bed (or two twin beds) with its own shower room. The apartment’s sitting room with private balcony offers stunning views of the surrounding Alps and features a plasma screen TV with DVD player. 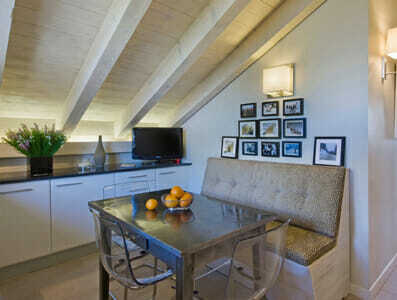 The penthouse also includes a fully equipped eat-in kitchen and dining space making self-catering hassle free. Please note that when rented alone, guests of the Penthouse Suite do not have access to the Wellness Suite and other facilities offered to Chalet guests. 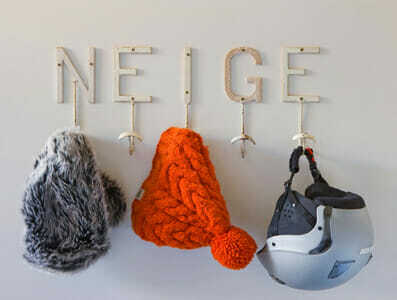 Ski room with heated boot racks and glove warmers. Please note that when rented alone, guests of the Penthouse do not have access to the Wellness Suite and other facilities offered to Chalet guests.